Make sure to join my Ravelry group to work along with other knitters. You can read all the 2017 message threads there. There’s also the amazing power of a group of knitters working together on the same pattern! Front Length: 23 (23 ¼, 23 ¾, 24 ¼, 24 ¾, 25 ¼, 25 ½)” / 58 (59, 60, 62, 63, 64, 65)cm from lowest edge of short row hem. Size 6 (4.0mm) 24” circular needle or needle to achieve gauge. Size 6 (4.0mm) 16” circular needle. Size 5 (3.75mm) 24” circular needle or needle to achieve gauge. 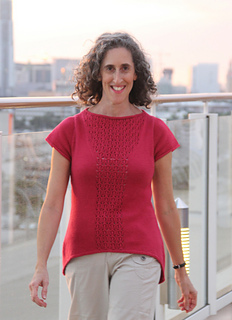 If you enjoy these sweater classes, check out the Corcoran sweater class. 2 hours of video tutorials and sweater modifications included!